Mac OS X users usually experience the “No Camera Available” error, that is, your camera isn't available and you might want to stress yourself, fixing an external camera. 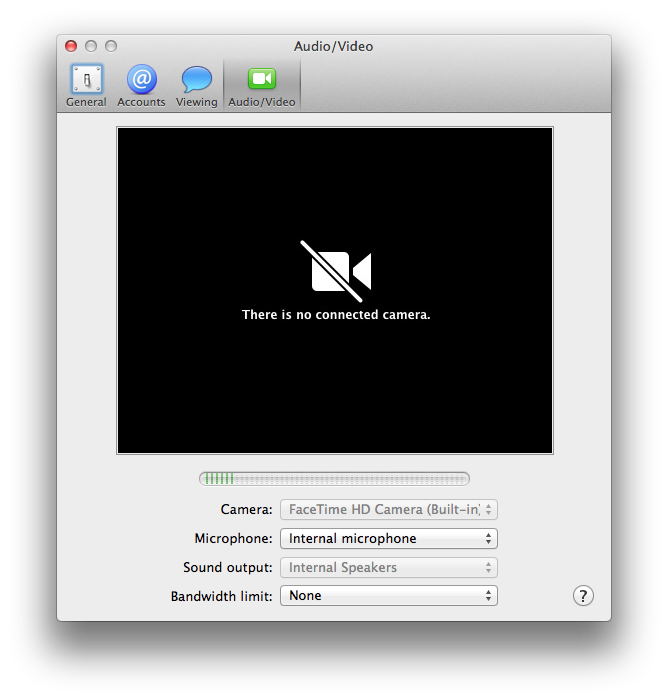 This error usually comes up whenever you what to perform a video record or video calls like skype with your Mac OS X. You don't have to fix an external camera because there is already a built-in camera on your Mac OS X computer. Today's stroll, I would guide you on how to fix “No Camera Available” error on your Mac OS X. » Firstly, endeavor to close any app that signals such error, like skype or facetime. » Then move to Launchpad » Terminal and input the below command in terminal and run it. » Once you have run the above command, you can then open any of the program that signals the error, like skype or facetime, and you wouldn't notice such error again. Hope these brief tips really helped in fixing the issue of “No Camera Available” error on your Mac OS X. If you got any other related problem with your Mac OS X, feel free to let us know via the comment section.